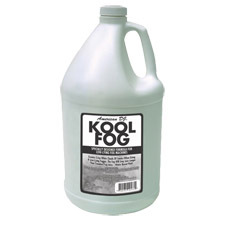 New Special Formulated Kool Fog designed for low-lying fog machines like Mister Kool. Creates a crisp white cloud of smoke when using low lying foggers. Stays low longer than standard fog juice - 1 US gallon.